Don’t become the victim of the next scam! Learn how to rent to own the RIGHT way to save you money, frustration, and to help you become a homeowner! Rent to own home sales are usually done between two private parties, often without legal or professional assistance on the part of the buyer. For anyone who doesn’t have extensive knowledge in real estate deals, renting to own can put you at the mercy of a less-than-honest homeowner. One such Easton, MA landlord recently plead “not guilty” to accusations that he swindled over $100,000 from potential home buyers in a rent to own scam. Forty-two year old Joshua Leventhal was arrested on claims that he billed more than $100,000 from individuals and families looking for a rent to own home from 2010-2011. Potential home buyers would find a home on the market that they wanted to live in and inform Leventhal, who would then agree to purchase the property and sell it to the potential home buyers on a rent to own basis. These people thought that the money they were giving to Leventhal was going towards the down payment on the house he was going to purchase, and that they would in turn be building equity in a home, but that was not the case. Out of over 100 “clients” that Leventhal worked with, not a single one actually wound up purchasing a home through him. In fact, only three potential home buyers even lived in the properties at all. 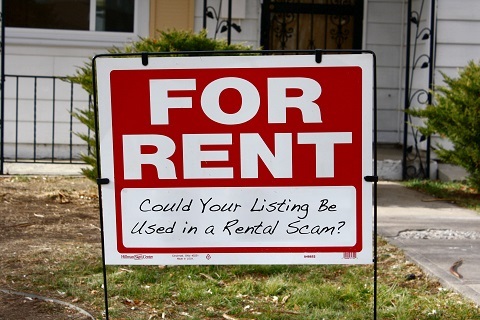 Luckily, not all homeowners who are willing to offer their homes as rent to own are crooks. In fact, most are honest people who may simply be looking for a way to stay afloat given recent economic events. As we learned from the story up in Massachusetts, it’s wise to stay away from “deals” with anyone who does not already own the property. Always do your background research and make sure that anyone you’re working with is on the up-and-up before signing any paperwork and especially before giving them any money. Watch out for sellers that are offering you a rent to own home which is in financial distress. While the majority of foreclosures are behind us, there are still a number of properties out there in which the owners are not making payments. Some of these homeowners have moved out of their houses and offered them up as rent to own, all while pocketing the monthly payments until the bank takes possession of the property. Check with local court records to verify that the home you’re looking at has not had any actions taken against it by lenders. With real estate prices on the rise around the country, many landlords are trying to back out of agreements on properties which have risen in value since the time that the paperwork was signed. In a lease-option agreement, the homeowner is required to sell the property at the time the contract specifies, if the renter wants to purchase it. Too frequently, uninformed buyers will be lied to or bullied by an unscrupulous seller and waive their option altogether. These are just a few of the different scams that unsavory people are using to take advantage of buyers looking to rent to own. As economic conditions change, scammers are coming up with more and more ways to rip people off. The only way to minimize your risk of being scammed is by becoming informed on the rent to own process. Carefully question the seller about any things you are not sure of, and be sure to have a legal professional look over any paperwork prior to you signing, especially when your new home could be riding on the line. For more information on questions to ask sellers and how to do a rent to own the right way, check out more articles on RentUntilYouOwn.com where we walk you step-by-step through the process and give you tips and resources to use- guiding you to success along the way! So, what are some ways you’ve found to avoid being ripped off by unsavory home sellers? I am so sad to read all these message. Thank you to everyone for sharing them online. I recently moved here from a different country and because I have no credit history I thought renting to own could be a solution for me. After reading all the postings I know now to stay away and just rent for a while unti I will build my credit. I HAVE BEEN LOOKING AT RENT TO OWN HOUSE WITH A BIG LOT OF LAND AND I BEEN LOOKING FOR A PROPERTY WITH ALOT OF HOUSES ON IT SO MY WHOLE FAMILY CAN LIVE NEAR EACH OTHER,AND I NEED HELP TO MAKE MY DREAM COME TRUE AND ALIVE.CAN YOU’LL HELP ME .I HAVE NO MONEY DOWN AND I LIVE ON S.S.I AS WE AS MY DAUGHTER AND MY HUSBAND GET S.S.A. AND WE HAVE BAD CREDIT AND CAN NOT DO IT ANY OTHER WAY ROUND THIS .PLEASE ,WE BEEN LIVING IN OUR CAR FOR NOW ALMOST A YEAR AND WE ARE VERY,VERY TRIED OF LIVING LIKE THIS . Don’t bother with anyone else but a reputable REALTOR, and make sure you have good competent legal representation, everybody knows there are tons of scammers and crooks out there, knowing that use your common sense if you have any I am so tired of hearing all these stupid stories about individuals losing this and that and giving people their money. What do they think will happen? These crooks don’t care they are crooks that is what they do. You are responsible for your own actions, pleading ignorance is no viable reason, either research and take care of things yourself or get legal representation that is and shut up about it. And if I want to take a qualified solicitor to court it will cost me more than the thirty five thousand and I will lose because I am just a normal person and not a legal wiz with stealing money from the poor! There is no way to ever get it back nor to get her charged with stealing my hard earned money! I’m sorry to hear you had such a bad experience with rent to own in Sydney. Would you care to tell others what to “watch our for”? I am currently in a lease-purchase that turned out to be a property in foreclosure. Don’t have a good feeling about getting my down-payment back, so since I am in the property now, I will try to live out that amount and move before it gets any more ugly. I thought it was legitimate because he went through a real estate broker as the property manager. Apparently they did not do their due diligence because they took him as a client. In this crazy market, it may be a good idea to ask to see the latest mortgage payment invoice. I paid rent for 3 months so far, of which a portion was to go toward the down payment, and then started receiving foreclosure assistance ads from attorneys and found the address listed in the newspaper foreclosures. The owner decided to file bankruptcy to stop the recent sale date on the Courthouse steps. Now I have to figure out where to go from here. I am nervous about even renting because the same thing can happen if you don’t make sure mortgage payments are being made (although most people are not going to want to show how much they are making on you every month). Be careful out there. I am very sorry to hear about your situation! And I agree with you, I don’t think it’s too much for a seller to provide proof their mortgage is current. Best of luck! I sadly lost my ten thousand dollar deposit and my twenty five thousand dollars repayments on a house in cairns and she was a qualified solicitor who ripped me off! I never got my deposit back and she would not allow me to sell the property as was the agreement in the contract. My solicitor just said that all I could do was to “on sell” the property but the owner had all of the rights. I even paid the eleven hundred dollar rates on the house and was kicked out without one penny, or one dollar refund. I now live in government housing and am on a disability pension with bipolar disorder … I had a mental and emotional breakdown over it all! I am 50 years old and my dream of home ownership is beyond any repair. IF YOU CANNOT TRUST A SOLISITOR FROM SYDNEY … then who can we trust??? I could have bought a studio unit for the $35,000 that I lost in one year. My 4 kids are all adults and I have a grandson who is seven. Now, Nanny has no backyard for her grandson to play in and no future at all and the owner of that house waits for the next sucker = Thanks mate!!! You will never get your money back! I never heard another word about it after they kicked me out to the street! I tried to do the same thing with sitting out the money in time but I paid a ten grand deposit and they gobbled that up all nice and legal! The owners tried to sue me also! Wow what a scum bag!! I wonder how he convinced people to give him money upfront? But, it does say he stole $100,000 and scammed 100 people, so that’s only $1,000 people were paying him upfront. Kelly, It seems like people were losing around $1,000 each. Hopefully no one was scammed out of their life savings! We hate hearing those stories! Poor old granny is still crying after it happened 2 years ago and poor me … who cares?? After we get ripped off … other people say we should have known!!! I answered an advert in my local Cairns post that read “VENDOR FINANCE” … but all my money did was feed their rich bank account. That lady did not need to steal from me as they are already a wealthy family living in Pymble, Sydney. That lady knew I was a hard working woman and she waited three weeks for me to earn my $10,000 deposit cash and her male partner flew up from Sydney to take my money. I was concerned from the start after the contract said “rent to purchase” instead of “vendor finance” but she reassured me that I could sell the house “tomorrow” and make $40,000 profit! I only wanted a home to grow old in and a house to leave to my poor kids and grandchildren when I died. I am crying now as I type these words!